Like low oil prices, no one knows quite how long the shortage is going to last. What we do know, is that the hiring market has shifted and qualified candidates have the advantage. You need alternative hiring strategies to reflect this new reality. Unemployment is below 6% nationwide, and is even lower in several key professional positions. In December 2014, Bureau of Labor Statistics data from the Current Population Survey put the unemployment rate for office and administrative support at just 4.8 %, and professional occupations at a mere 2.8 percent. 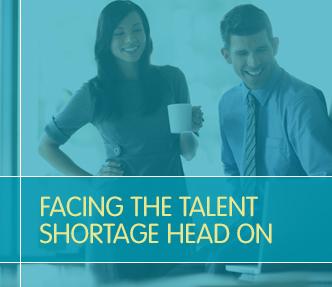 Finding talent during a shortage is as much about mindset as it is about strategy. Your prized candidates are thinking differently about their opportunities. They know they can be more selective and that time is on their side. That means positioning your company simply as “a place to work” won’t cut it, because today’s talent is looking for more than just a steady paycheck. Instead, you need to build the reputation that your company is an interesting and rewarding place to work. The talent shortage means top candidates can choose their destinations based not only on salary and benefits, but also on culture and quality of life. Candidates can learn the basics about your company online. Your job in 2015 and beyond is to tell them what the job boards, salary sites and industry associations don’t know about life as a member of your organization, and to reach them before they even know they’re a candidate. 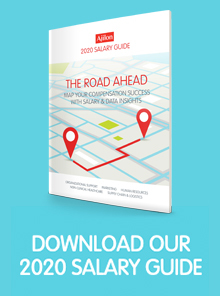 The following tactics will help you remain a thriving employer and a prized destination during the talent shortage. During low unemployment, the talent you’re looking for is often on another company’s payroll. Don’t think of these people as entrenched in their current positions. Think of them as passive candidates. Passive candidates are simply people who don’t know they want to work for you yet. Recruiting and hiring were once defined by personal relationships, and it’s time to return to those roots. More tables and booths at job fairs are not the way to deal with the talent shortage. Talented professionals already know they are wanted. The key today is to make the personal and professional contacts that get you closer to your next hire. Everyone knows highly qualified professionals who feel their efforts aren’t being fully appreciated in their current positions. In this climate, listening to their stories is more important than selling your own. Reach out to your network and start discussions about job satisfaction and new opportunities—and be ready to suggest appealing alternatives when the names start flying. Professional associations are an excellent starting point. If membership is wary of direct interaction with HR professionals, collaborate with your internal leaders who may already be members of the association and ask them to make introductions. Alumni organizations regularly meet and are always delighted to help their graduate members move up in the world. Everyone wants to be the next great TED speaker, and an entire subculture of esoteric presentations has grown from that movement. Your top candidates are attending and speaking at these events. Search for local TEDx events, “Nerd Nights”, and other quirky networking opportunities. In the age of social media, your sought-after talent is publicly sharing what they like and value. LinkedIn profiles now emphasize charitable and hobby activity, providing more useful clues. In addition, LinkedIn, Facebook and Meetup are all treasure troves of online discussion, virtual events and in-person gatherings. To attract the best during a talent shortage, you need to be more than just flying the “Now Hiring” banner. You need to be creative, and you need to be heard above the competition. You need to be an active participant in the discussion about your company as a great employer, and tell prospects how being a part of your mission will make them more successful, satisfied and fulfilled. If that sounds more like marketing than traditional hiring, that’s because it is. Today’s marketing is driven by content, and so too should your own recruiting efforts. Use photos, videos and your social feeds to paint a picture of the innovative work, positive culture and supportive atmosphere your company promotes. Show them that joining your company is the right fit for their personal and professional goals. In a talent shortage, you need to be open to developing from within. If your firm curtailed tuition and professional development benefits in the wake of the last recession, now is an excellent time to revisit those investments. That consistently strong performer whose career path has plateaued is worth another look, and the lower-level position they leave behind after promotion will be easier to fill. There’s no room for pride in a talent shortage. “The one who got away” is sometimes “the one who needs to be lured back.” Talk to candidates who have previously declined offers and former employees who left on good terms for new opportunities. The grass may not be greener at their new destination. Familiarity, combined with an improved focus on a positive culture and opportunities beyond the paycheck, can bring a trusted face back. Even in a strong economy, startups have a high failure rate of 75% or more. When startups close their doors, it can be a sudden and shocking letdown for extremely talented HR, logistics and administrative talent who will be eager to find new opportunities. Keep a close eye on startup culture in your markets, and ensure that you are the first to know when they change directions or are forced to turn in their keys. Above all, take action today. If you don’t know where to start, reach out to a trusted staffing company for help. Don’t wait until your customers notice how the talent shortage is affecting your business. Need assistance finding and hiring specialty job candidates? We can help, starting now.